During thyroid lobectomy, approximately one quarter of the thyroid gland is removed. 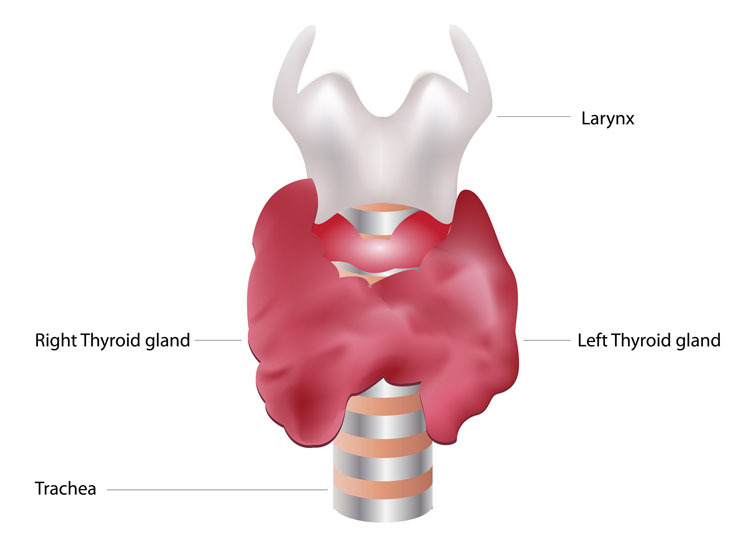 Thyroid lobectomy can be utilized to treat hyperthyroidism, an enlarged thyroid gland and thyroid cancer. Non-surgical alternatives to thyroid lobectomy include radioactive iodine and thyroid medication. 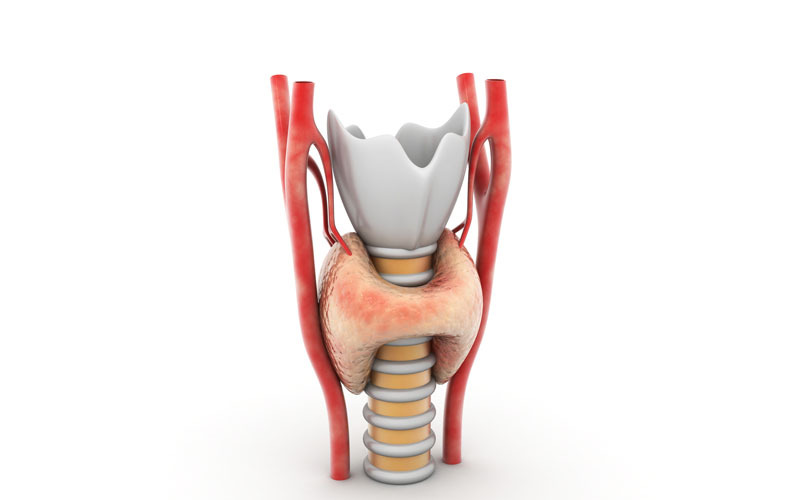 A total or partial thyroidectomy may be performed as a surgical alternative. Thyroid lobectomy is performed under general anesthesia, which means that the patient is asleep and completely unaware during the procedure. Possible risks following thyroid lobectomy include infection, bleeding, blood clots and a negative reaction to the anesthesia. It is also possible for the patient to experience painful swallowing, neck pain, hypothyroidism, hypoparathyroidism and hypocalcemia. Injury to nearby organs is possible. The prognosis for a positive end result following thyroid lobectomy is good. The total recovery time after thyroid lobectomy is one to two weeks.